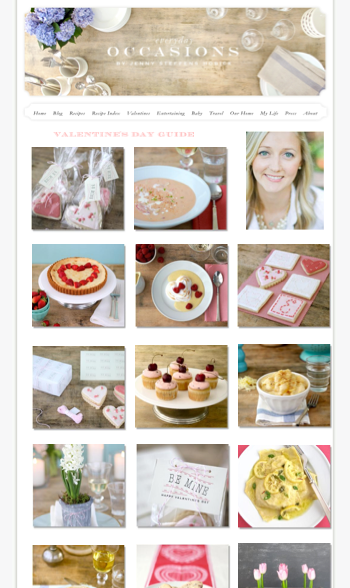 Get all of my Valentine's Day ideas, recipes, crafts, DIY gifts, sugar cookies and downloads in one spot... my Valentine's Day Guide! Great ideas Jenny...I can't wait to try out some of those cookies. I was wondering what blogs you like to read, especially those similar to you. Maybe you could write a post about some blogs that inspire you. Thanks!